What is shot peening ? What is shot peening – ultrasonic shot peening ? This surface impact treatment solution consists in bombarding the specific area to be peened with small projectiles (= media). This action induces residual compressive stress on the surface, which delays the appearance of cracks, and improves the lifetime of the part. 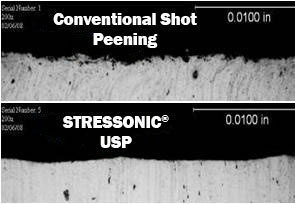 To fully understand shot peening, download our flyer on the ultrasonic shot peening process. J.Almen discovered shot peening in the 1930s while working for General Motors. Shot peening is a process used to induce superficial compressive stress, and to modify the mechanical properties of metals. The method consists in striking a surface with projectiles (metal, glass or ceramic beads) at high speed, with sufficient force to create a plastic deformation: each ball acts like a mini-hammer. Shot peening, due to the successive impacts, causes changes in the mechanical properties of the surface. 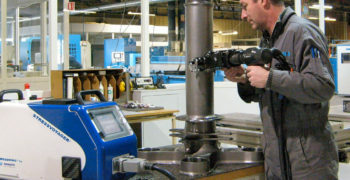 Shot peening is often required for repairs to fragile areas, to compensate for tensile stresses due to machining and to replace them with compressive stresses. Depending on the part geometry and material, as well as the projectile material, quality, intensity and field of action, shot peening can improve fatigue resistance from 0 to 1000%. The compressive surface stresses create fatigue resistance and resistance to certain forms of stress corrosion cracking. 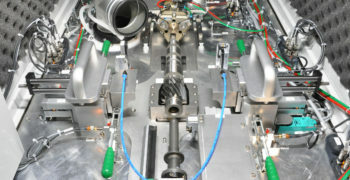 Conventional methods of shot peening propel projectiles using compressed air and centrifugal wheel systems. 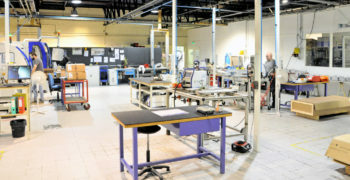 Other methods include ultrasonic shot peening, wet shot peening and laser peening (which does not use projectiles). 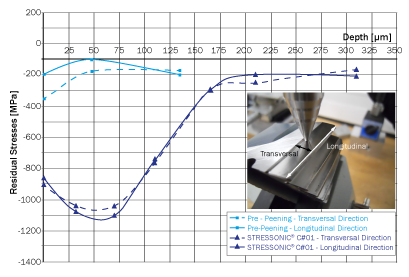 SONATS specialises in ultrasonic shot peening, STRESSONIC® technology has matured and has proven its advantages. Moreover, the use of high quality beads and real-time parameters control ensure repeatability and treatment efficiency. Ultrasonic shot peening generates an optimal surface condition (roughness) and is generally better than conventional shot peening processes. To find out more about the ultrasonic shot peening process, its advantages and examples of use-cases, download our flyer.